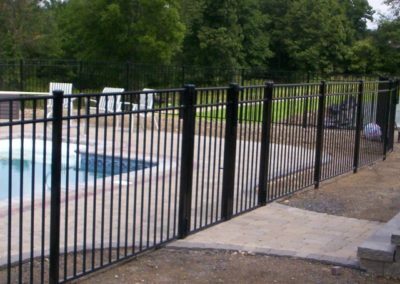 Starling Style is one of our most popular styles of pool fence. 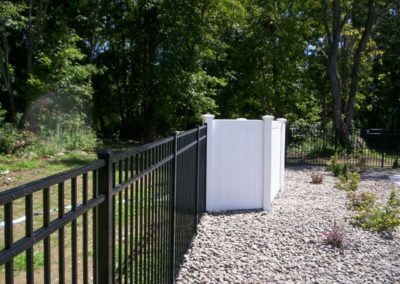 With a three rail design and fifty four inch height, Starling conforms to BOCA Pool Fence requirements. 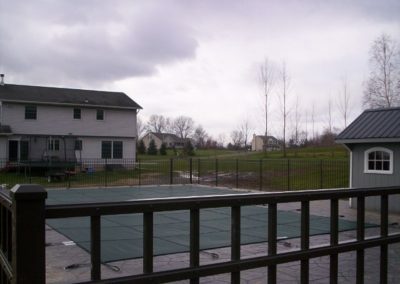 As a pool fence, Starling pickets end at the bottom horizontal. Replacement of any pickets that may become damaged due to an errant baseball or basketball is easily done in just a few minutes! 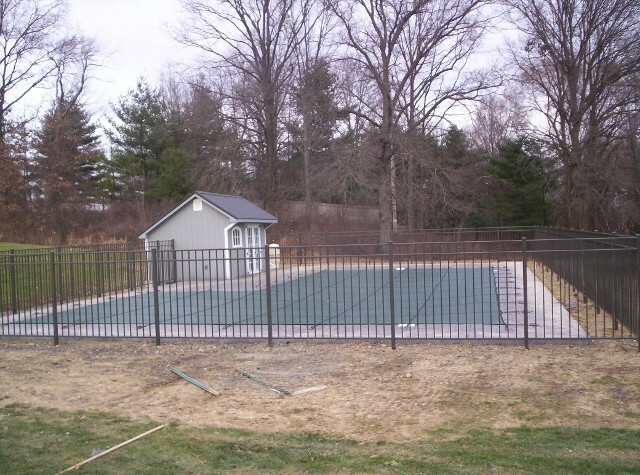 A free Magna Latch™ is included with the purchase of any pool enclosure of 25 sections or more from profencesupply to make your pool fence as safe as possible! 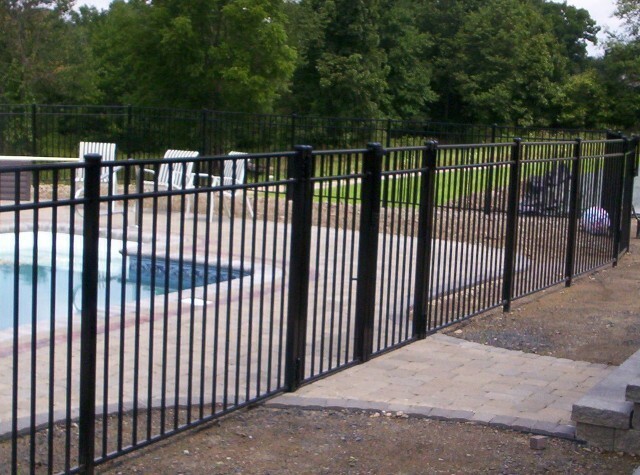 Starling pool fence is also available in Residential style as well as Commercial and Industrial grades. You can select a height starting at thirty six inches. 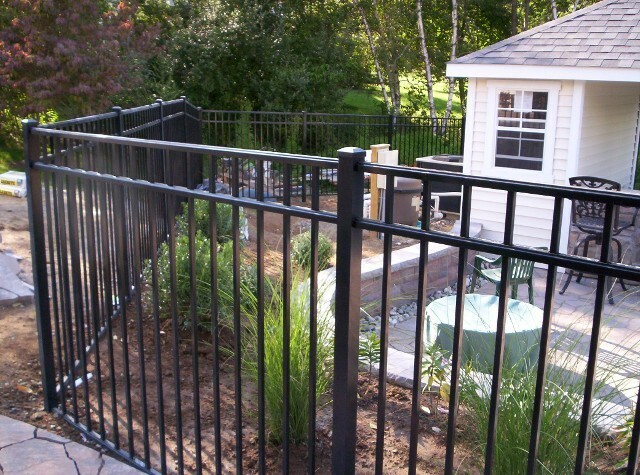 Forty two, forty eight, fifty four, sixty, and seventy two (4 rails) inch high Starling style also come in all grades. 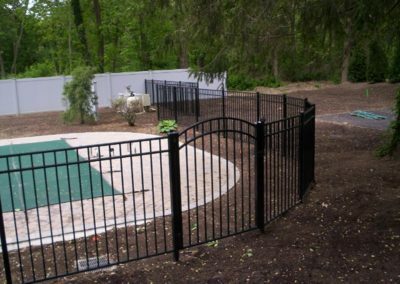 Single leaf arch or flat top gates come in three, four, five and six foot widths. Double gates in either flat or arch top (1 over 2) can be purchased in six, eight, ten or twelve foot wide openings. 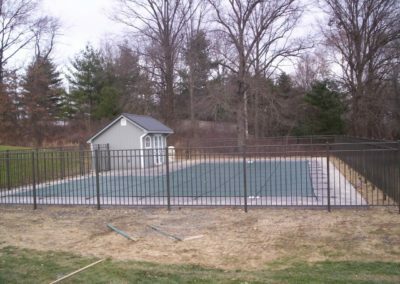 Gates are delivered with adjustable spring loaded hinges to meet pool fence self closing requirement. All heights and grades are available in your choice of five colors; Black, White, Bronze, Hedge Green or Soft Beige. 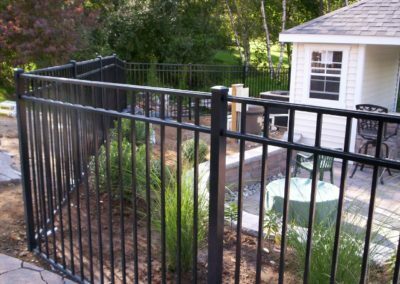 At $59.50 per six foot section and a post with flat cap priced at 17.95 – Starling style pool fence is less than $12.91 per foot and it’s fully assembled! Select any of these five colors. 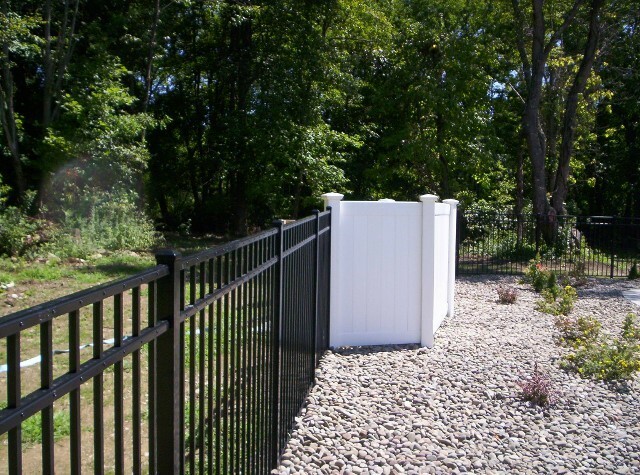 Accessories shown here are for Starling fence panels. 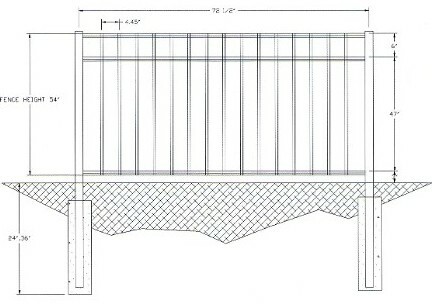 Standard flat caps are included with posts.